SAN JACINTO: Trustees hear how a new approach is developing respect and better students. Special to The Press-EnterpriseSan Jacinto High School students work on a team-building activity in their leadership class, a component of the national Capturing Kids’ Hearts program. Administrators on Tuesday gave the school board a preview of what has been happening since the school started Capturing Kids’ Hearts, a way of treating students so they can excel academically. San Jacinto is one of more than 20 schools in Riverside County to implement the program in the past year. Next month, students at San Jacinto High and other schools using the program will be featured on a Riverside County Office of Education cable show. The idea is to have a common language and understanding in classrooms, said Principal Gwen Smith. In the late 1980s, M.B. 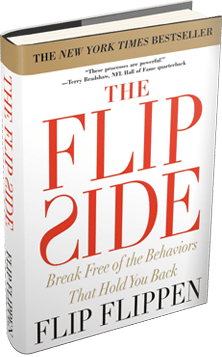 “Flip” Flippen, a licensed psychotherapist, created the concept as a way of empowering the troubled young people he worked with at a nonprofit counseling agency. A teen leadership class was developed, and in 1994, Flippen released a curriculum for educators. The Flippen Group, based in College Station, Texas, holds three-day training sessions on the teaching method, which includes social contracts and questioning techniques. Travis Goodwin, a leadership consultant, said social-anxiety and fight-or-flight theories are also discussed. “What if every class these students went into, they were greeted at the door, not made fun of, and teachers didn’t use sarcasm to control the class? They would want to come to school and feel safe,” Goodwin said. In September 2005, Riverside County educators looked at what components were missing in improving test scores. Cami Berry, project director of the county Safe Schools Unit, said schools listed motivation, safety and campus issues as areas that needed attention. Schools countywide started teaching the 40 developmental assets of building character. In spring 2006, the Riverside County Office of Education offered grants to about a dozen schools for Flippen training. Today, educators from Riverside to Banning to Moreno Valley and Lake Elsinore are trained monthly. Tomas Rivera Middle School in Perris is the furthest along, with most of its staff trained, Berry said. At San Jacinto High School, 27 teachers and administrators have received the training. Twenty-one are set to get training later this year. It is not enough to train teachers though, Goodwin said. That’s why the school also started leadership classes. About 90 students are learning personal responsibility, goal setting, self-confidence and other skills in the classes led by Mona Lisa Pfeiffer. “The end result is transformation,” Pfeiffer told the board.